My wife and I purchased a new house. 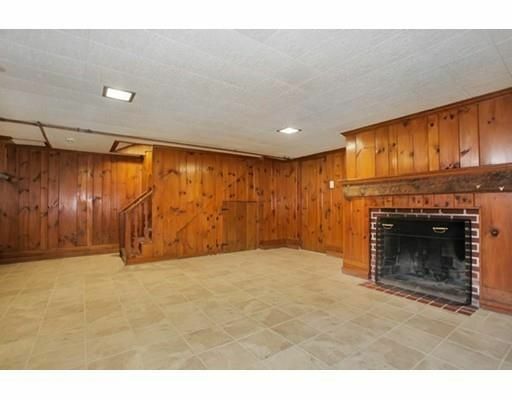 This house comes with a finished basement, which I get to do with as I please. Instead of a ‘Man Cave’ with cars or bars or other mundane items I’m looking to build a game room with all kinds of nerdy things that will appeal to visitors as much as myself. Not a private refuge so much as a showcase for my hobbies and passions. That includes building a proper workshop in the unfinished portion of the basement. 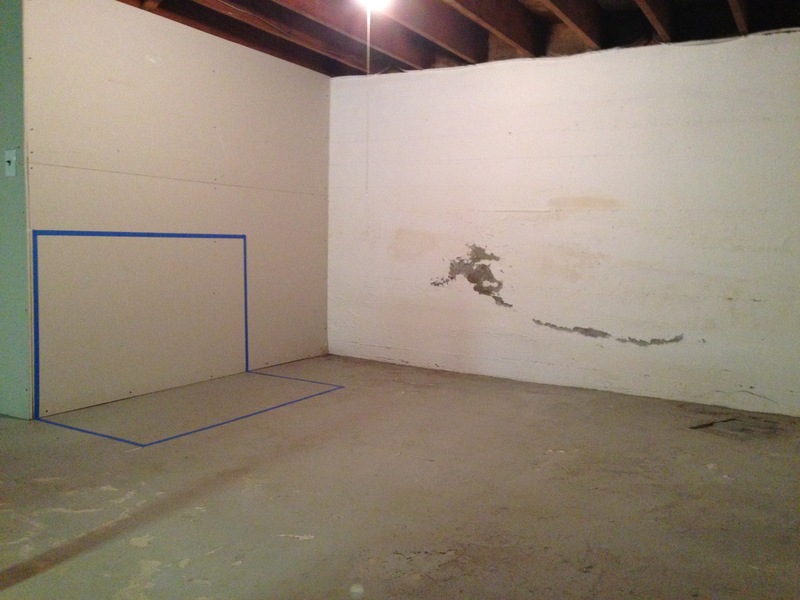 The finishes portion of the basement is perfect for a gaming room. The lighting will need an update. Something with a bit of medieval fantasy flair. A nice trestle table in the center of the room would provide both setting and theme. The hardest part of the room is going to be the drop ceiling. I am not sure what to do about that. The room is getting used for some junk storage at the moment. We used a lot of moving boxes! The door from the ‘game room’ into the workshop. If you were taking the first picture, spin around, and there’s the door. 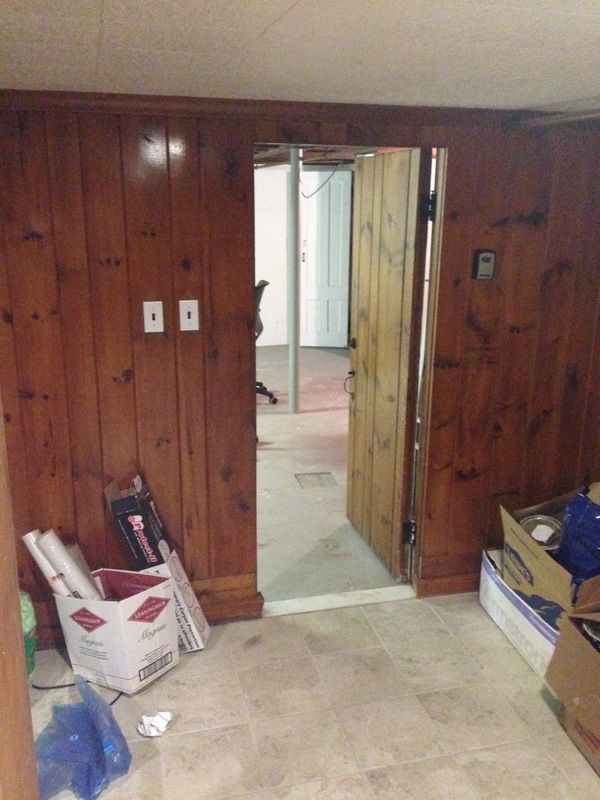 The workshop is in the unfinished portion of the basement and needs some work. Tons of spiderwebs were swept up, lots of dirt and debris cleaned out. At the moment I intend to make two work benches. One for building boffer gear and the other to spray, paint, and glue. 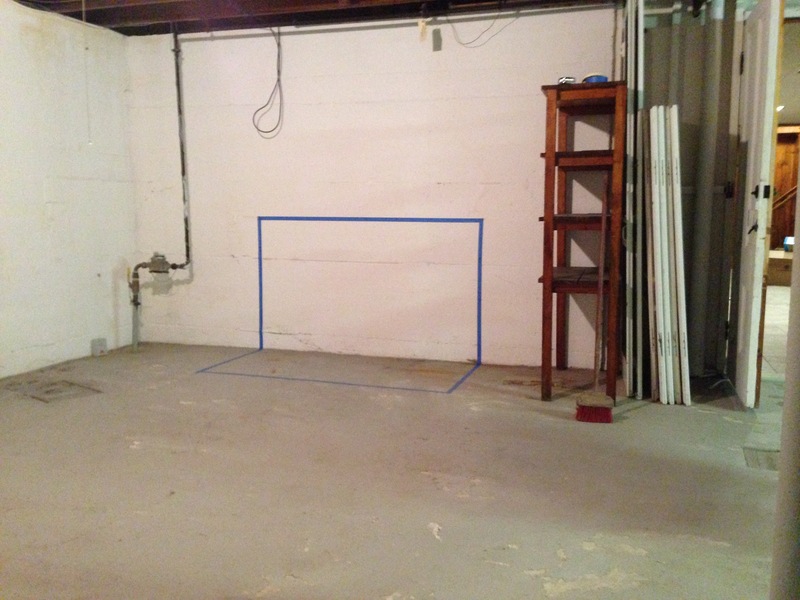 Each taped area is 60 inches wide (5 feet). I am super tall, so the table height is 35 inches (which comes up to the knuckle of my thumb when my hands are at my side). I want at least 30 inches of counter top space, just in case I want to add shelves to the back of the benches. I found a great DIY guide to making a Classic Workbench over on FamilyHandyman.com. It looks like not only a great first project, but a very functional bench. I just have to figure out how to get the lumber to my house… A bit of a problem as I don’t have a truck. The move has gone well, and we’re getting settled. I am super excited about getting the workshop up and running. I have tons of crafting ideas, and plans, that I want to start sharing. The bench will probably also get a stand for my GoPro. I might try my hand at making some instructional videos. There hasn’t been any feedback from anyone on The Hit Location Handbook, so that is probably on hold at the moment… Which probably means that I’ll be tired of writing for a week or two, then get the bug again. Any suggestions on how to format an ebook would be great. Well, I hope you all are doing awesome things, and having a great time larping. What has your larping summer been like? Let me know if you’re up to anything cool. Send me a tweet @jspringfield211.